When I listen to Brooklyn's San Fermin, I can't help but feel a certain amount of escapism coming from their intricate, textured songs. There's a lot to be said for music that can pull you away from the monotony of everyday. The escape artists just so happen to be coming to DC on 5/10, and I'd like to send you there. Yes, you. 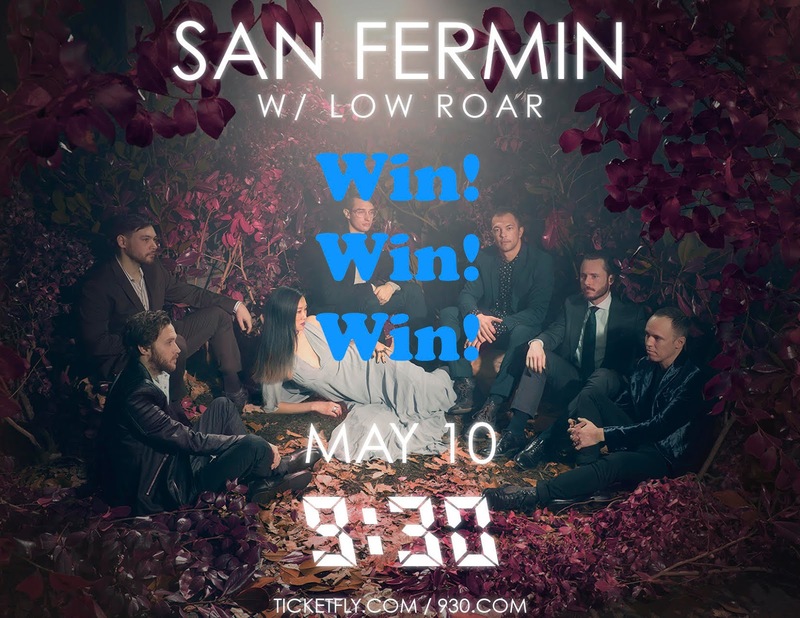 To win the pair of tickets I have up for grabs, just email me and tell me why you'd like to see San Fermin up close and personal. If I'm swayed by what you have to say, you'll be going to the show. Fine print: Contest is for two (2) tickets to this show. Contest closes at noon Eastern on Monday, 5/8/17.